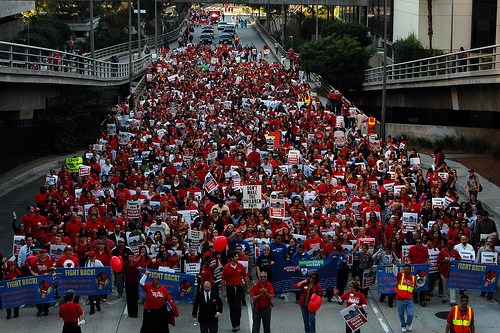 Kudos to the United Teachers of Los Angeles who refused to give in to pressure from LA’s public schools. The district attempted to use the the Race to the Top application to strong arm the UTLA into accepting a new teacher evaluation system based on high stakes standardized testing scores. This entry was posted in General and tagged RTTT, solidarity, UTLA. Bookmark the permalink. 1 Response to Bravo UTLA!